The River District in Eagle, ID features maintenance free living, access to the Boise River and greenbelt, as well as a community clubhouse, pool and hot tub. Our community clubhouse is now available for rent to the public. This is a great place to meet with clients, have parties, sales meetings and so much more. Please contact us for more information. 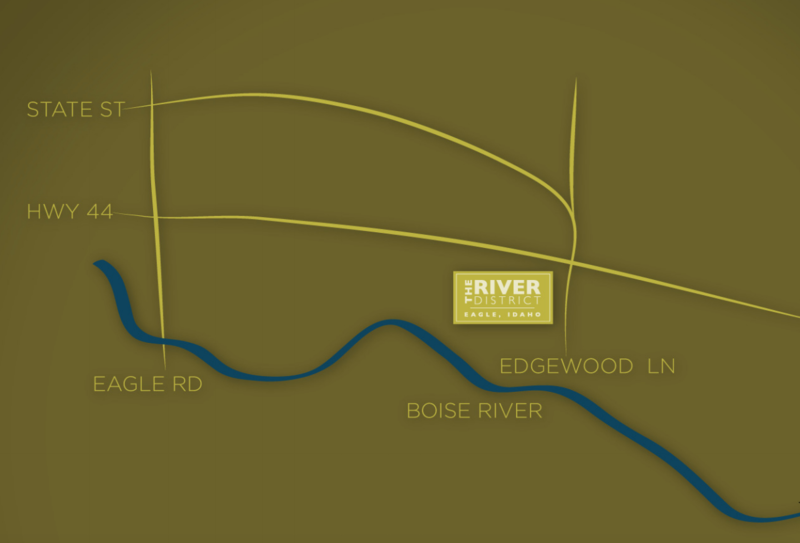 At The River District located in Eagle, Idaho, live on the edge of the beautiful Boise River, Stroll along the greenbelt, fish your private ponds, and live within walking distance of downtown Eagle. Maintenance free living makes the River District the perfect place to call home. Experience the rustic tech architecture and open floor plan designs. Interested in buying a home in the River District? Click here. © 2016 Copyright River District - Idaho, All Rights Reserved.